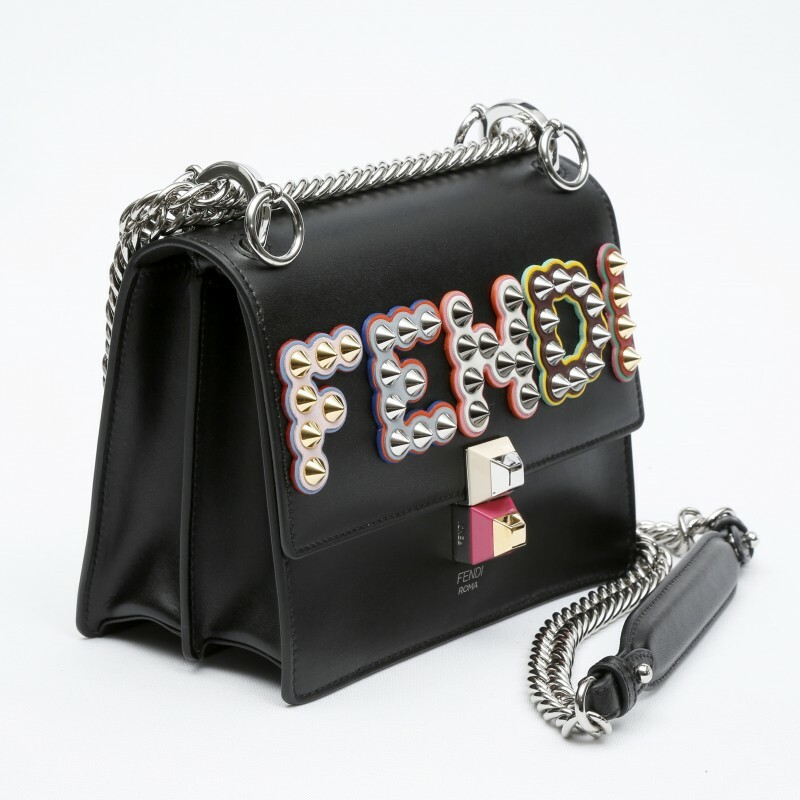 Mini-bag with flap and two-tone plexiglass double stud fastening. 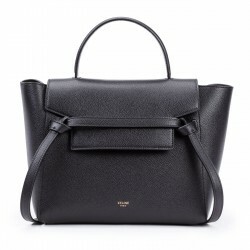 The gusseted interior features a pocket and two compartments divided by a stiff partition. 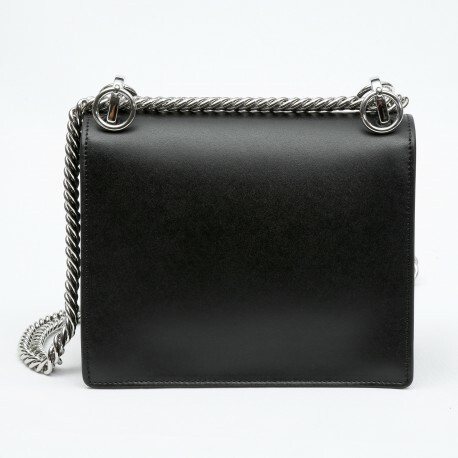 Can be worn cross-body or carried by hand thanks to the long chain shoulder strap. Made of black leather. 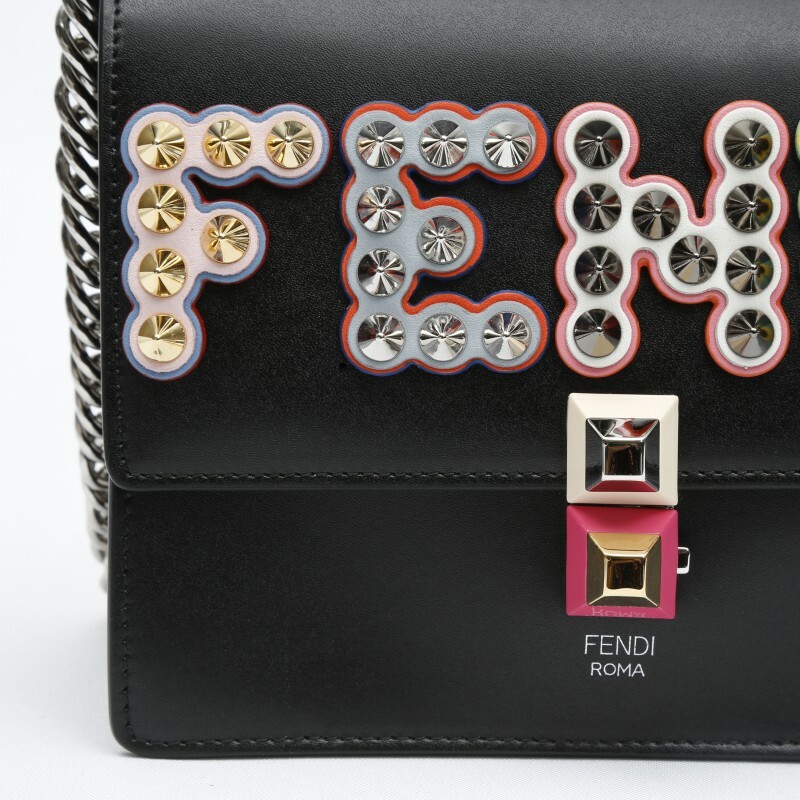 The flap features FENDI lettering in multicolour leather and mini studs. 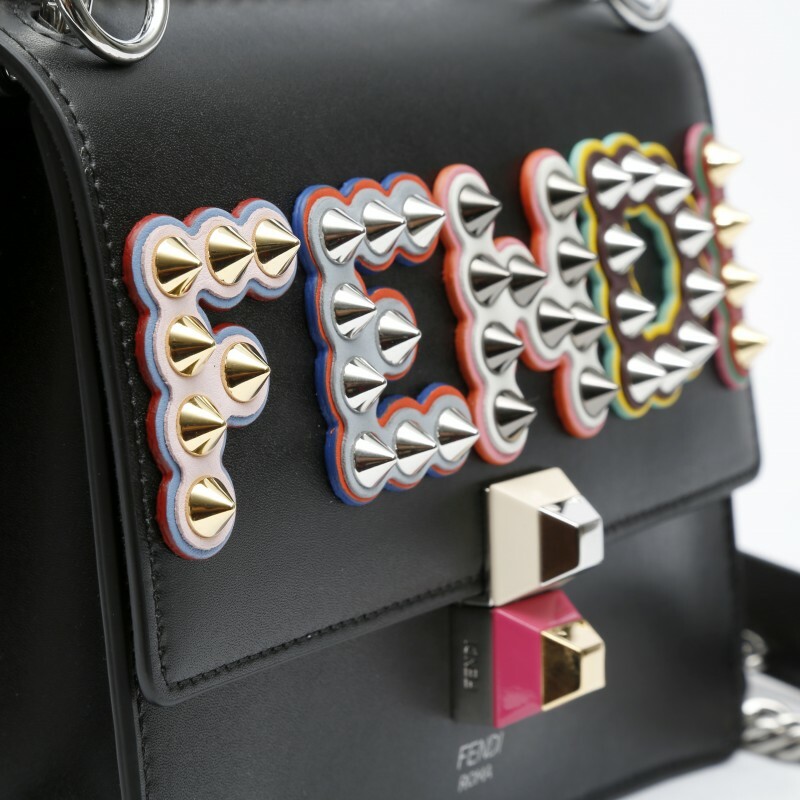 Palladium-finish metalware.